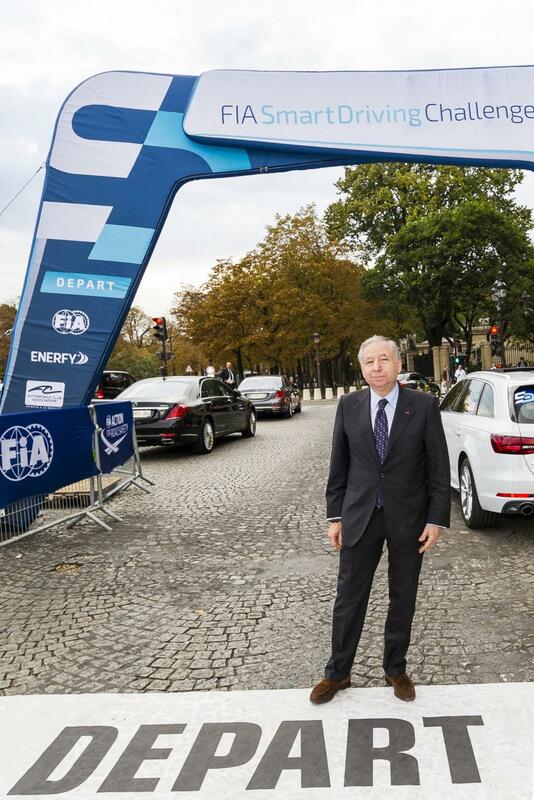 The first FIA Smart Driving Challenge (FIA SDC), encouraging smart, safe and environmentally-friendly driving, successfully concluded in Paris. During ten days, almost 500 drivers tested the FIA SDC technology, driving more than 2,426 kilometers. From 4 to 14 October 2018, on the occasion of the Paris Motor Show, the FIA allowed the general public a sneak peek at this innovative experiment. Over these ten days, starting from Place de la Concorde, the registered participants, accompanied by instructors from the Automobile Club Association, tested their driving skills at the wheel of various electric, hybrid, or internal combustion cars on the course of the Paris E-Prix. As they covered the route, their driving was evaluated, in real time via artificial intelligence, by the Enerfy® digital platform connected to a smartphone app. At the end of the experiment, participants were awarded points in order to determine their classification and their chances of becoming the smartest driver of the challenge. 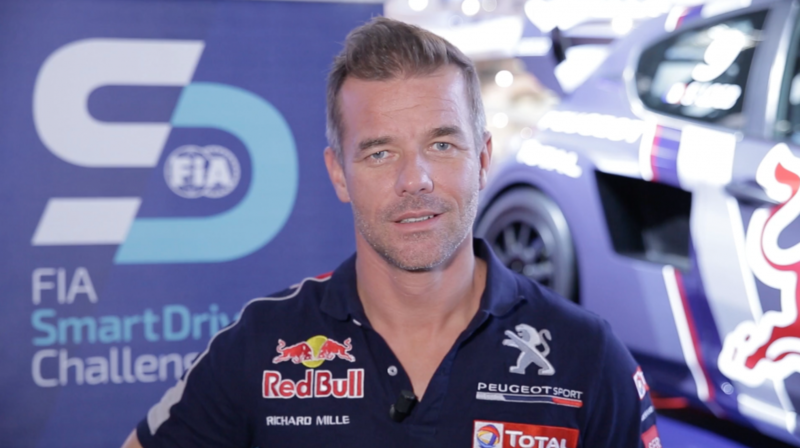 The FIA Smart Driving Challenge (SDC) is a competition that rewards smart, safe and environmentally-friendly driving.  From 4 to 14 October 2018, on the occasion of the Paris Motor Show, the FIA will allow the general public a sneak peek at the experiment. Over these ten days, starting from Place de la Concorde, the registered participants, accompanied by instructors from the Automobile Club Association, will be able to test their driving skills at the wheel of various electric, hybrid, or internal combustion cars on the course of the Paris E-Prix. As they cover the route, their driving will be evaluated, in real time via artificial intelligence, by the Enerfy® digital platform connected to a smartphone app. At the end of the experiment, participants will be awarded points in order to determine their classification and their chances of becoming the smartest driver of the competition. Book your slot on this website and at Place de la Concorde, and from 4 October 2018 onwards at the FIA stand at Mondial Tech (Hall 7 of the Motor Show), and at the Automobile Club Association’s stand of the Motor Show (Hall 2.2). Le FIA Smart Driving Challenge (SDC) est une compétition qui récompense la conduite intelligente, sûre et éco-responsable. Du 4 au 14 octobre 2018, à l’occasion du Mondial de l’Automobile à Paris, la FIA permettra au grand public de découvrir cette expérience pour la première fois. Pendant dix jours, au départ de la Place de la Concorde, les participants inscrits, accompagnés d’instructeurs de l’Automobile Club Association, pourront venir tester leurs talents de conducteur à bord de différentes voitures électriques, hybrides ou thermiques sur le parcours de l’E-Prix de Paris. Au cours du trajet, leur conduite sera évaluée en temps réel grâce à l’intelligence artificielle par la plateforme digitale Enerfy® connectée à une application smartphone. À la fin de l’expérience, les participants se verront attribuer un nombre de points qui déterminera leur classement et leurs chances de devenir le conducteur le plus « smart ». Les inscriptions sont ouvertes à tous sur ce site et sur la Place de la Concorde, et à partir du 4 octobre 2018 sur le stand FIA au Mondial Tech (Hall 7 du Mondial de l’Automobile) et sur le stand de l’Automobile Club Association au Mondial de l’Automobile (Hall 2.2).